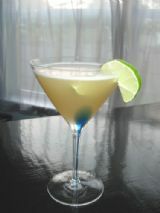 In The Slammer drink recipe made with Lemon juice,Triple Sec,Vodka,. How to make a In The Slammer with all the instructions and ingredients. Brain Itch View This Recipe! Bucky Bartenders Old School Lemon Drop View This Recipe! Cold Smack View This Recipe! Hallo Police View This Recipe! Happy Juice View This Recipe! Heather & Bob&apos;s Special View This Recipe! Junkie Soup View This Recipe! Lemon Drop The Real Deal View This Recipe!